It’s National Goat Cheese Month, and a little goes a long way in these satisfying, healthy goat cheese recipes. First up is an Avocado, Tomato, and Goat Cheese Toast that’s great for breakfast or lunch. 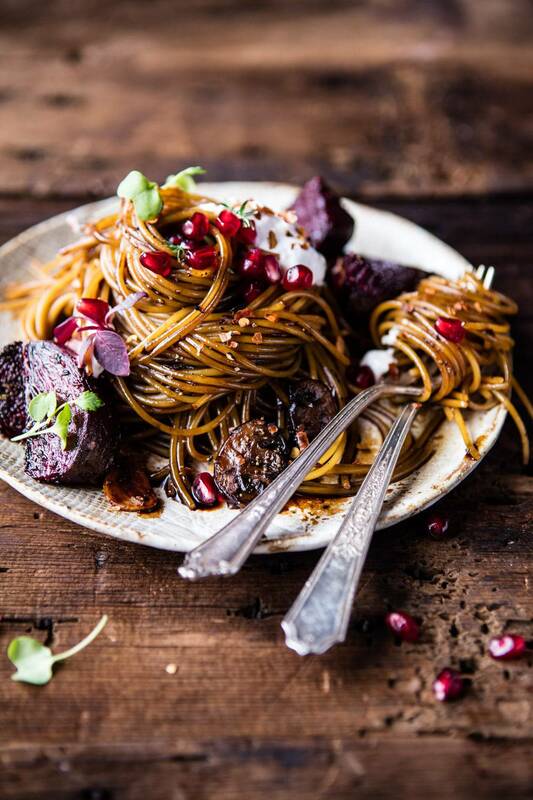 Whip up gorgeous Caramelized Balsamic Goat Cheese Pasta for a light summer pasta dish. 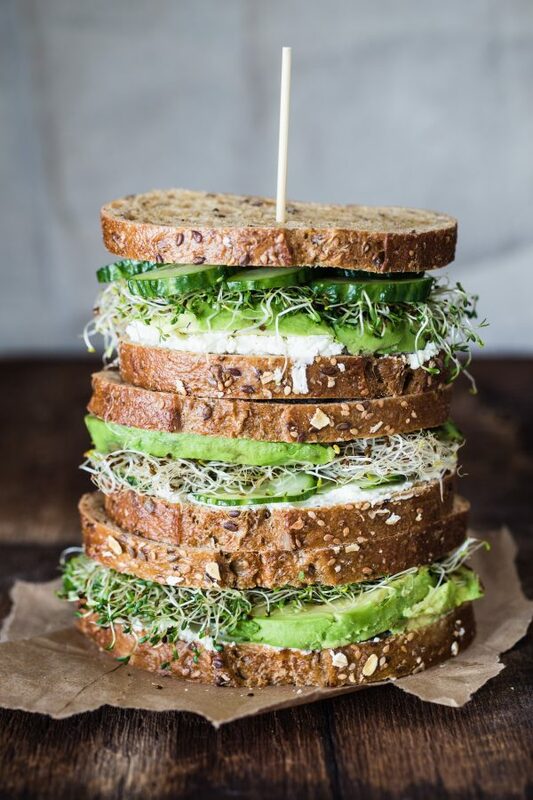 Lighten up lunch by going meatless with an Avocado, Cucumber, Goat Cheese Sandwich. This beautiful Sopressa Pizza with Pesto and Goat Cheese is better than your Friday night takeout. 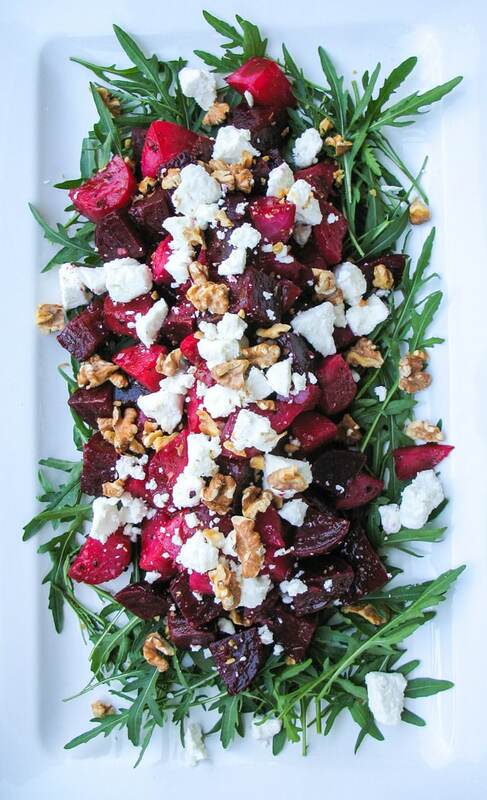 Beautiful Roasted Beetroot Salad with Goat Cheese & Walnuts is the perfect summer side. Impress your loved one with this rich Date Night Mushroom Pasta with Goat Cheese. It’s Date Week, which makes it the perfect time to make the most of this versatile fruit. These healthy date recipes are a great way to lighten your favorite sweet treats. First up are easy, flavorful Orange Walnut Cream Cheese Stuffed Dates, which are the perfect party bite. Looking for a healthy breakfast perfect for your family’s sweet tooth? Try these No-Sugar Apple Cinnamon Healthy Muffins. This Easy Grain-Free Cinnamon Date Granola is perfect for breakfast or a snack. Vegan Mini Powdered Donuts are some of the healthiest donuts you’ve ever had. These Hemp & Pumpkin Seed Oat Bars are great for busy afternoons. Make Spiced Pumpkin Loaf with Dates and Pecans for a warm winter treat. Cookie Dough Brownies you don’t have to feel guilty about are less than an hour away. This week, get ready for a romantic date night in with delicious, showstopping, healthy Valentine’s date recipes. You don’t have to have meat to indulge with this beautiful Ratatouille. These easy Braised Short Ribs will melt in your mouth. Your loved one doesn’t need to worry about this Cheater’s Skillet Paella. It only helps you cheat at cooking paella. Beautiful Chicken & Quinoa can help you lighten up date night eating. You don’t have to go out to get great ramen with this simple Rotisserie Chicken Ramen. Skip the buttery dinner out with these Shrimp Scampi Zoodles for Two. 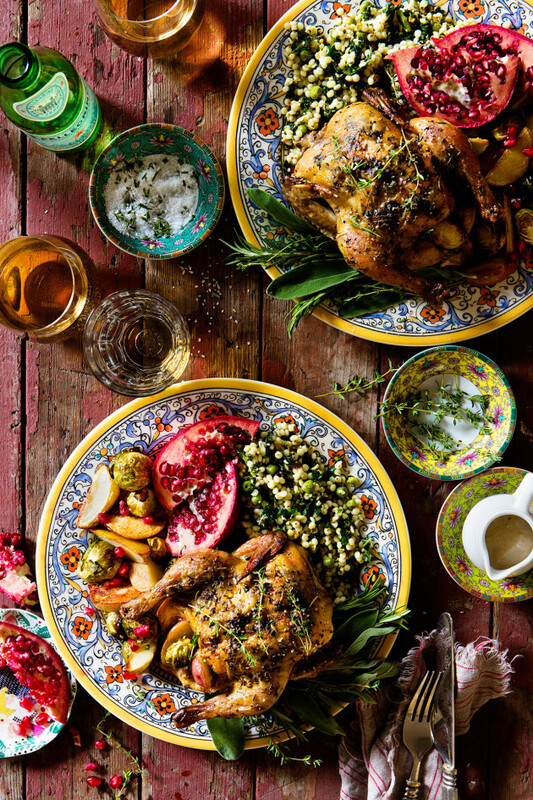 Make this Cornish Game Hen to blow your loved one away this Valentine’s Day. Valentine’s Day was fast approaching this week in food, so we helped you make healthy dinner dates for date night. First up is a stunning (vegetarian) Ratatouille for two. Try this entire French-inspired menu, featuring Bistro Roast Chicken, for your Valentine’s Day. 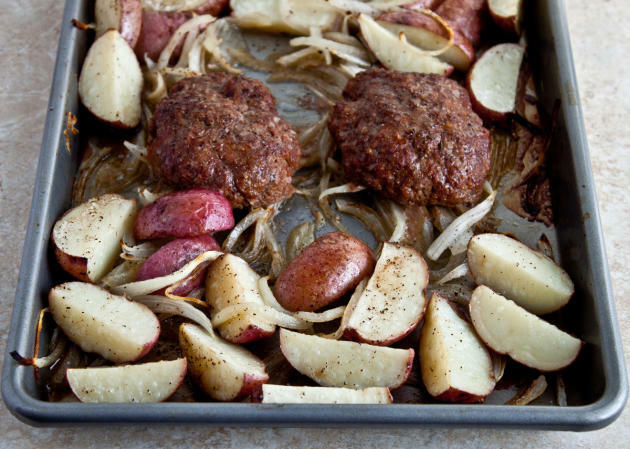 This Filet Mignon with Mushroom-Wine Sauce is quick and much healthier than the steak house. Try this memorable menu, featuring Fennel-Rosemary-Crusted Lamb, for this Valentine’s. This fancy Pomegranate Duck is perfect for your romantic, homemade dinner date. It’s not too late to plan a special date. Try this Lobster Menu for two that’s sure to impress. These Coconut and Basil Steamed Mussels are impressively elegant, but still just 308 calories.